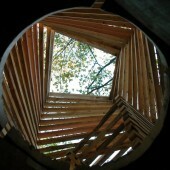 The Woodland Experience Project has been another successful live project based in Ecclesall Sawmill. Working together with Handspring Designs the students developed masterplan for the site, a compost toilet and a canopy to be used as shelter. 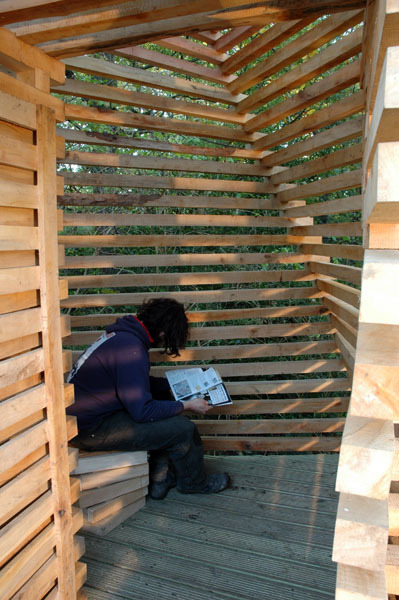 The project has received wide publicity, with the compost toilet winning second place in the AJ Small Projects Awards, 2007. This has helped attract interest to the site and raising the profile of the businesses ventures located there. Using the knowledge acquired from researching timber construction the students created two structures at the sawmill site. Design was a high priority as timber constructions in a rural setting are often expected to be vernacular and traditional. The Canopy is located between two existing containers on site providing needed shelter for the storage and workshops in close proximity. 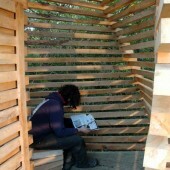 The Composting Toilet was built using wood sourced from the local woodland. It has been designed to be durable and able to facilitate privacy. 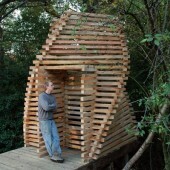 The students solution went a step further, incorporating a reciprocal timber construction. 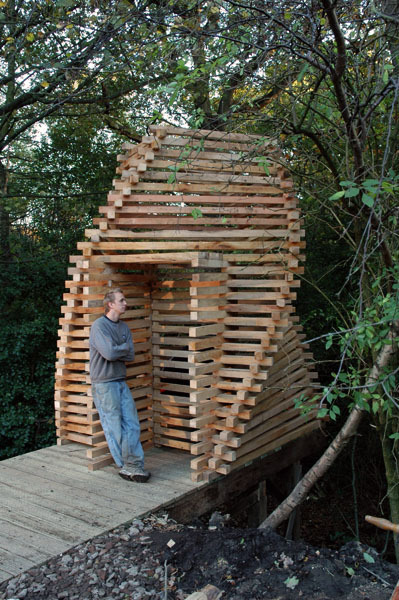 Using the twisting nature of the structure, the toilet provides direct visual links to the surroundings, whilst protecting the user from external observers. 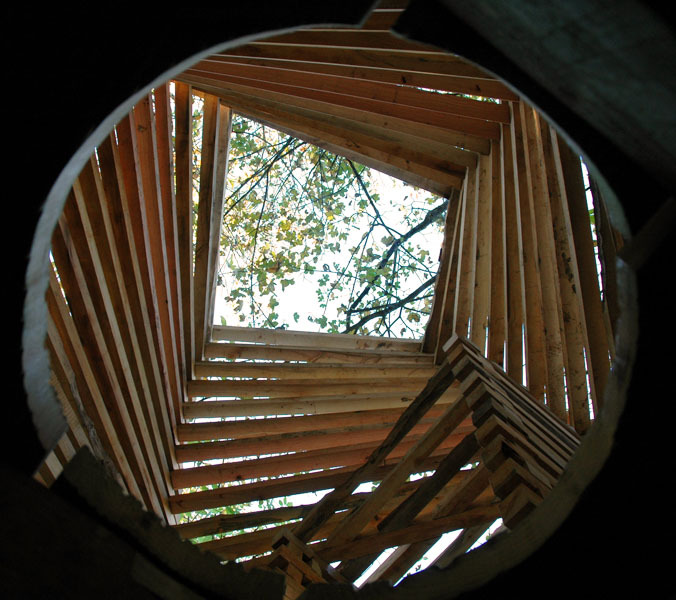 Research Question: How could innovative timber techniques be employed to showcase skills and serve to the users of the Sawmill site?